Many of us are familiar with the Amazon webstores. Now just before the Christmas they bring best sides of the globalization to our home sofa's. Nowadays Amazon is also known as cloud and cloud connected software platform provider (Amazon Web Services, as AWS). 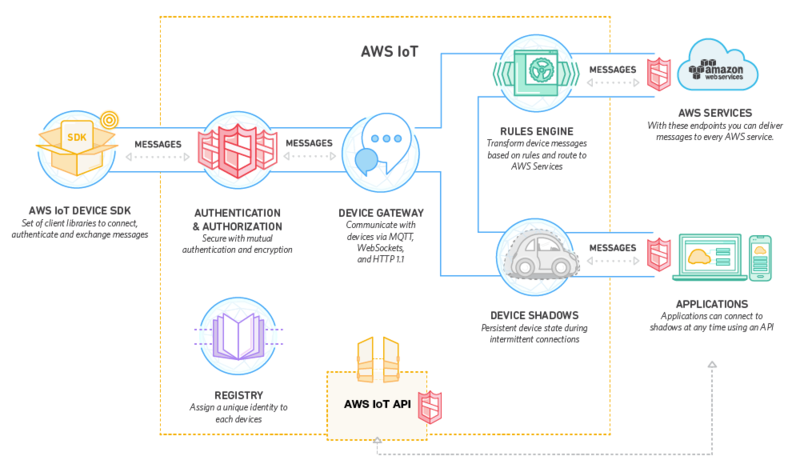 One example of these cloud connected software platforms is AWS IoT-service, which enables creation of Internet of Things (IoT).